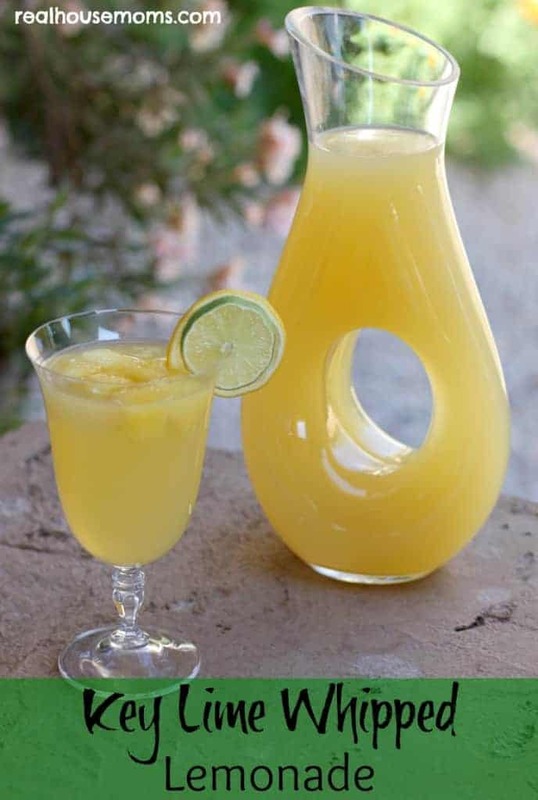 Summertime drinks are so refreshing and perfect for warm weather (or blazing hot weather in Arizona)! Lemonade is a summer staple and Key Lime Whipped Lemonade can be made with or without alcohol so everyone can enjoy a drink! It has a great combination of lemon, pineapple, and sprite flavors. As a lemonade, it is super yummy and kids really enjoy it. Adults can add Key Lime Whipped Vodka to their individual glasses and will get an awesome lemon-lime flavored cocktail. When my friend was here visiting over Memorial Day weekend, we saw the lemonade recipe on Pinterest and made a pitcher. Then I created an amazing cocktail, Key Lime Whipped Lemonade, for something to sip on while we relaxed by the pool. I had some frozen pineapple chunks and they worked great to keep our drinks cool, plus they added an additional fruity flavor! Key Lime Whipped Lemonade is a refreshing drink that can be made with or without alcohol and is perfect for warm summer months.